Do not buy Aweber Autoresponder for your email marketing before you read this review. When you read AWeber reviews you will see all good and positive things about AWeber. I do agree on many of them and will share them here as well but then one expects an honest review and so here I am to tell you some of the things which most AWeber reviews won’t tell you and things you need to know before purchasing AWeber. If you have landed on this page you probably are aware of what AWeber is but still for those who are still not sure I am sharing it here. AWeber is an Autoresponder which sends email or series of email messages to someone who requests it based on a defined schedule. It tracks when messages should be sent and other analytics without you having to do anything from your end apart from setting the schedule. Any business or individual who is looking for online marketing or one who would like to provide newsletter service to his users or someone looking to service a sizable client base with an interest in email marketing can use AWeber. AWeber offers co-branded email service as well as private label service for you to choose. Making money with an email list is not as easy as you will read on many reviews and you should understand that it is a long learning curve. Growing your subscribers is not always easy and some people would tend to leave your list as well and so growing your list can be challenging. No Free Trial Version but this is not a problem because they do offer 30 Day money back guarantee. Does not have any kind of API to integrate with your user-base but this can be overcome easily and I will tell you how. Does not allow moving of one list from one account to another and so if you want to use it for multiple websites you need to create multiple AWeber accounts. One of the best thing I like about AWeber is that I cannot find many negatives with their product or service. I am an AWeber customer for quite some time now. When a user visits your website he may not be willing to register at your site but he may opt for an AWeber Subscription as it is very simple to subscribe. AWeber Analyzes Spam Score for all your emails you compose as well as handles Spam reporting and removes users from the list who report your email as spam. Dispatch of emails are not from your own hosted server and hence there are no issues of any email management on your end or server resource/load/delivery management. Handles all the email bounces as well as updates the lists accordingly. AWeber Provides very detailed reports for each email like how many users opened the email and how many people clicked on which links. Detail reports of user location and country which means you can create sub-lists for specific region people about offers you can provide them. AWeber is mainly based on the number of subscribers and is independent of the number of times you email them or how many lists you create for multiple websites. After going through the positive and negative aspects of AWeber you may have gathered how the product works but then if you are paying for something on a per month basis you should also learn how to make full use of it. In the negative points I had mentioned that AWeber is not cheap but you can use this to your advantage. Now many Email Autoresponder’s charge based on how many emails you send per month but AWeber charges based on the number of subscribers. So if you send updates weekly or biweekly it will not prove costly at all but in fact it will be cheaper than those who charge on a per email delivery basis. 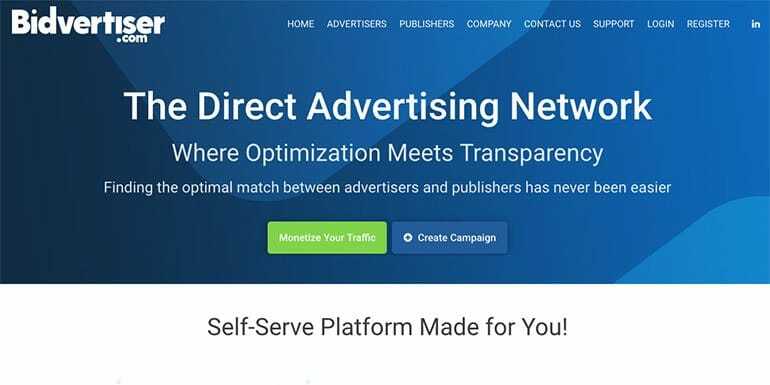 The second disadvantage which I mentioned was that AWeber does not have any kind of API which can help you for co-registration with your site, but this can be overcome very easily and you can use it to your advantage in more than one way. User need not register to get the updates about your web business because you may not be able to have a registration form as simple as just Name and Email. When I talked about this with their support they suggested that if I wanted co-registration they can setup for me and all I needed to do was to fire an email to AWeber co-registration system for each user who register at my website with the details of the user. AWeber would have a custom parser for the email and add the user to my list automatically. What is so unique about AWeber? I mentioned about the solution they provided for co-registration and this is in-spite of me not being one of the biggest client of Aweber or anywhere close to it. This shows the kind of customer service they offer. I have not seen any single user complaining about non-delivery of emails and you can safely assume that I have sent quite a few thousands of emails in this short span of time I am with AWeber. The kind of new things they tend to add is incredible. They did not have the feed broadcaster some time back but they have it now for you to completely automate the feed to be sent to your users and have features to bypass the one provided by Feedburner which is a Google product now. Many other providers charge per list or per email that you send but with AWeber I can send as many emails as I want each month to as many lists as I want. The kind of reports they have is totally exhaustive. For example user country and region, how many and when users opens your sent email and which links were clicked and how many people reported spam to your email sent is something awesome. Using the reports now I know when does a user prefers to open the emails and I send them just before their preferred time so my viewership of email has also increased. I do lots of Freelancing and have also referred many of my clients to AWeber. They have all rated AWeber system as one of the best and has given a rating of 5 on 5. Remember a list which can be emailed is a Gold mine for any business. I am having a problem with AWeber Slider at Footer for people to subscribe to my blog. It doesn’t slide up. How can I fix this? AND is it possible to make this a small slider box that slides up at the footer on the right side? Robin, can you share url where you have activated the plugin and does not slideup. Gracias, que plugin utilizas para los comentarios por E-mail? Can you please ask that in English. Is there any PHPBB registration integration with Aweber? Thanks Shabbir. I will check it out. I called aweber and they didnt give me support on this. I want to have a lower optin like yours on this site…. I am also a little confused by what this means.. Generate an Inline form using the AWeber WebForm Interface. Grab the HTML code of your AWeber Form and Search for Hidden Div which lists all the hidden form fields. You will see it just after after the tag. I checked your site and it looks like you have issues finding the right code to be placed at the right place and so contact me at my email and I can get this done for you. How do I get the slideup bar to work on my site??? It seems I am inputting the wrong code. But when I put the entire html code in, it doesn’t seem to work. Please help. Thank you. Jon, Can you share your blog’s URL here. but, nothing happens. I’m using Firefox, but I don’t think that should be the problem. Please check out the website http://www.todayssmallcaptip.com. I’m just now putting it together. I’d like to use the slide up. The blog has moved to a new domain and so don’t be surprised. Now coming to your point I see that you have the plugin in place but messed up with the code that you need to place from AWeber into the admin panel options. Thank you for your review of Aweber. We appreciate you sharing your opinion and doing the research needed to fairly evaluate this email marketing service. We especially like how you described a weakness in the service and then how to overcome it. We have seen fit to link to this article in our independent Aweber Reviews section. Anyhow, keep up the good work spreading truth. Nice idea to switch over to Aweber for just $1, I will think over it. I read some where that after switching to Aweber, email list which you have reduced to around 30%, is it so? Yes Khalid, As I had a large list before AWeber will not email that list unless they confirm in AWeber. So migrating a list actually means a reduction in size and so it is better to start with list building from beginning. Hi What Autoresponder service do you use right now?